Discussion in 'Star Wars: Books & Comics + Legends' started by SWNN Probe, Sep 6, 2018. Meet Nokk and Winloss. A married couple making their way through the galaxy by capturing rare beasts on isolated worlds, breeding them, and then watching a resurgence in their population. They're not your typical trophy hunters, and they've arrived on planet X3-299-11 (noted as being beyond the Outer Rim) for a job. The issue opens with typical back-and-forth banter you might expect from a married couples. A few gripes about idiosyncrasies and then they get a communication from the person that hired them to do the job. They meet their employer and guide, Doctor Aphra. Though she's not there with him, she's quite familiar with where they are and what they will encounter. Nokk and Winloss stand the top of a long stairwell that leads into an ancient tomb. You know me, I love seeing the Star Wars Universe expand, and this is another relic of the ancient universe in which so many great stories are told. There is a beast that Aphra claims she was hired to procure for a wealthy crime lord who's jealous of Jabba's rancor and all the other animals that are kept as pets of carnage. The art in this issue by Caspar Wijngaard is first-class. 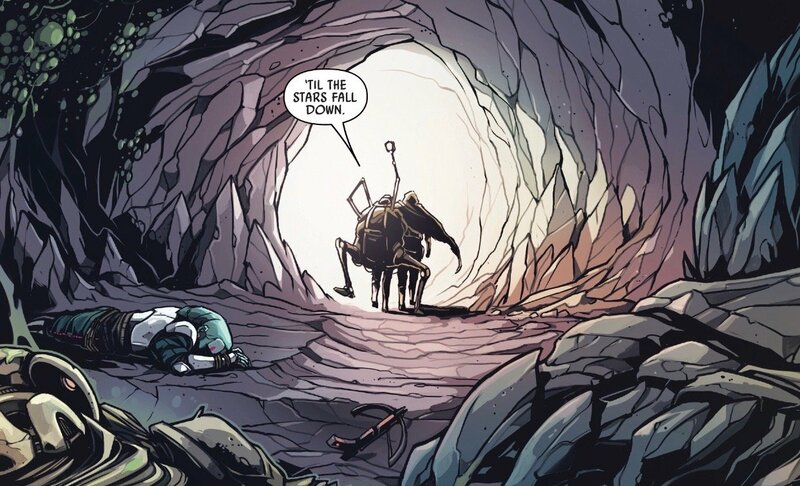 Though we don't get much Aphra in the flesh, she leads these two trappers deep into the tomb to find the beast they are after. 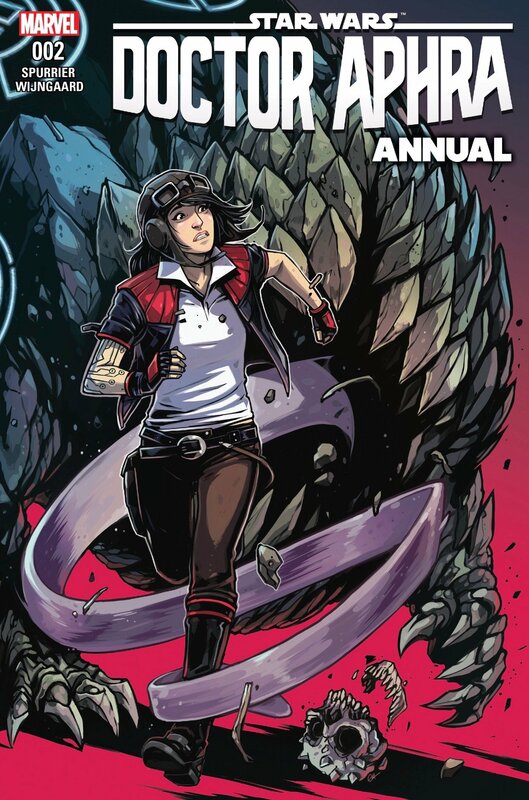 Every page of this issue is great and it has an Indiana Jones vibe that I wished we saw more of in the Doctor Aphra series. 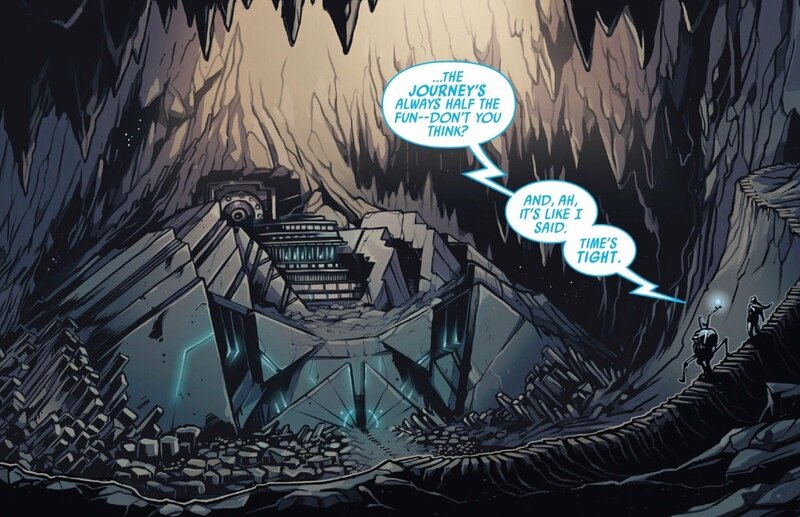 Aphra mentions there are lots of priceless heirlooms, and this looks like something right out of Malachor, but we are never really clued into who built this. I know it's unlikely that its Jedi or Sith related, but I'd love to find out more about this place someday. Especially because of Wijngaard's artwork. Well, it's looking very Indiana Jones now. Winloss and Nokk see that one of their competitors didn't make it as far as they did, and they almost joined him, if Aphra hadn't warned them to duck the spear trap. Aphra seems to know every corner of this tomb and Nokk grows suspicious. Aphra implies the couple need this job, as they are not yet known throughout the galaxy as the best in their field. 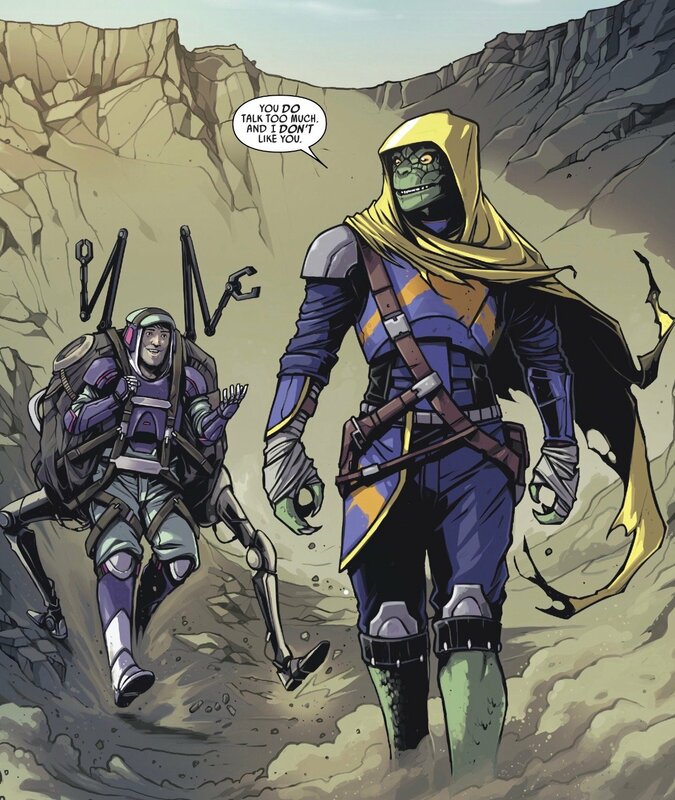 The duo definitely want to make a name for themselves so they continue on, with the ever growing unreliable advice of Doctor Aphra. 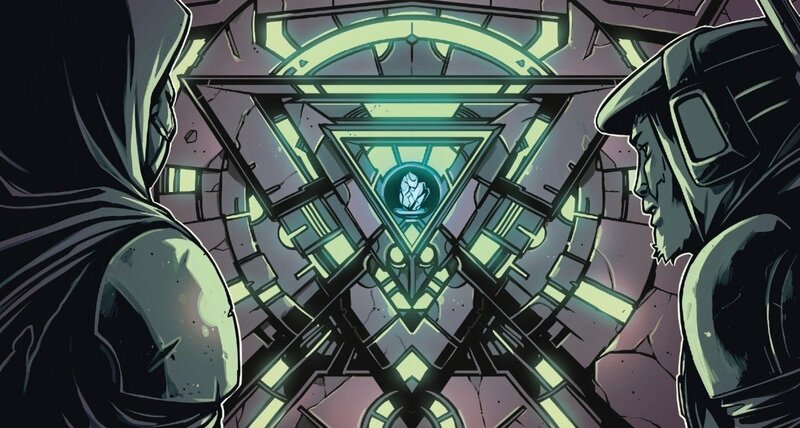 Aphra comes clean and says she knows everything about the temple, but that Nokk and Winloss shouldn't try to take anything from it. All these artifacts are very dangerous, but Nokk and Winloss contemplate taking the artifacts. Winloss seems fine with it, but Nokk says it could damage the reputation they are trying to build if they go against Aphra's requests. 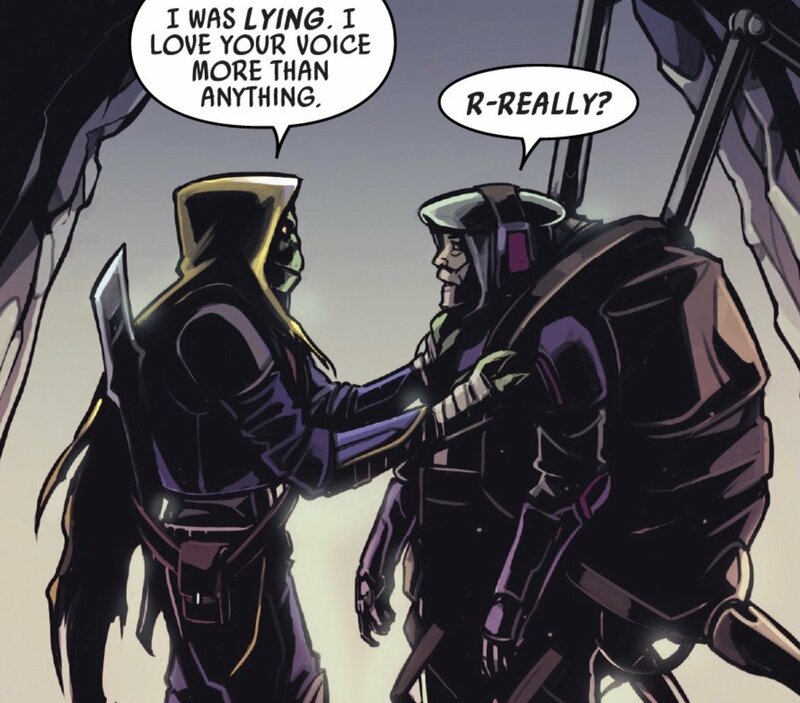 Nokk is all about keeping their eye on the prize and honoring their agreement with Aphra. She's definitely the one calling the shots in the marriage, and Winloss is happy to follow her lead. Despite their mild bickering, you get a real sense of partnership and love between Winloss and Nokk. It's very sweet. The beast appears! Aphra only refers to it as 'guardian' and she also made it clear her boss does not want it disabled with blasters. Aphra is insistent on that, promising Nokk and Winloss a very unpleasant death at the hands of said boss if the creature is at all pocked with blaster marks. Nokk tries the harpoon/trident looking weapon and fails. Winloss tries to stun the creature. Both methods fail. After seeing the corpse of another famed hunter, Nokk and Winloss begin to suspect they are not the first people Aphra has sent down here. In fact, they are behind several hunters who have been bested by this beastly custodian. 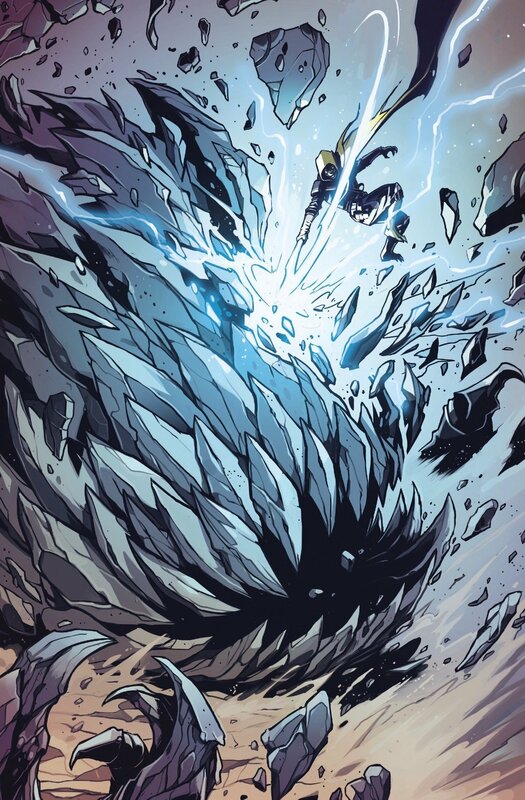 They encounter one of their competitors who lost his lekku to the beast and is nearly dead. He promises that if they kill the beast, his boss will give them a reward. Aphra seems alarmed and angered by this prospect. They completely ignore her guidance and make a big decision on their own. They use their competitor as bait to lure the creature out. Nokk has an idea of how she can disable the beast. The only problem is, the animal doesn't take the bait. The creature is blind, only hunting by sound, and once the other hunter goes quiet, Nokk has to make a difficult choice. Awwww....now isn't that a sweet thing to say to your partner....right before you toss him in front of the giant predator you've seen destroy several other hunters! Because that's what Nokk does, knowing that her partner's voice has a tendency to carry and make a lot of noise. Nokk takes the family business into her own hands and disables the creature. Because there is cosmetic damage, Aphra refuses to pay them and they are stuck with a predicament of what to do with the beast when it wakes up. Nokk doesn't want to kill it, so she hands Winloss a crossbow and he agrees. When he gets to the point of pulling the trigger, he turns away and can't do it. Fortunately, their barely breathing competitor gets one shot off and kills the animal. As soon as it's dead, they notice something starting to protrude from under it's skin. It's no xenomorph...it's Doctor Aphra! She was getting the 'deadly' artifacts out of the tomb when the beast ate her in this crazy, combat suit. She's been waiting in it's digestive tract and hiring hunters through the holonet, watching them get picked off each time. She couldn't risk an assault team of bounty hunters coming in, because the creature absorbs all of their firepower, which would have killed her. She knew big game hunters and trappers were the only way to go. Look how she hands Winloss the artifact to hold as she undresses from the bulky suit, only to pick it right back up as soon as she's in her regular fatigues. Love it. And just like that, the doctor has left the tomb! This is a sweet sentiment to end the issue on. Love until the stars fall down. I doubt we will, but I'd love to see more of these two. Great second annual by writer Si Spurrier and artist Caspar Wijngaard. I would love to see Wijngaard get more Star Wars titles. The art of this issue was certainly the star, though I did enjoy the story as well. Spurrier has a great handle on the character, as always. If you are an Aphra fan there is no reason at all you should skip this issue. In fact, you should have it in your hands right now! With many stories in recent media taking place in, near or beyond the Outer Rim, I'm starting to think they're doing this for a reason. Might be just a slight Galaxy's Edge nod, or it might be a hint of what's to come in the upcoming movies (i.e. the upcoming RJ/ B&W series of films). Enjoyed this arc - different, but the same. And of course art work - love it! 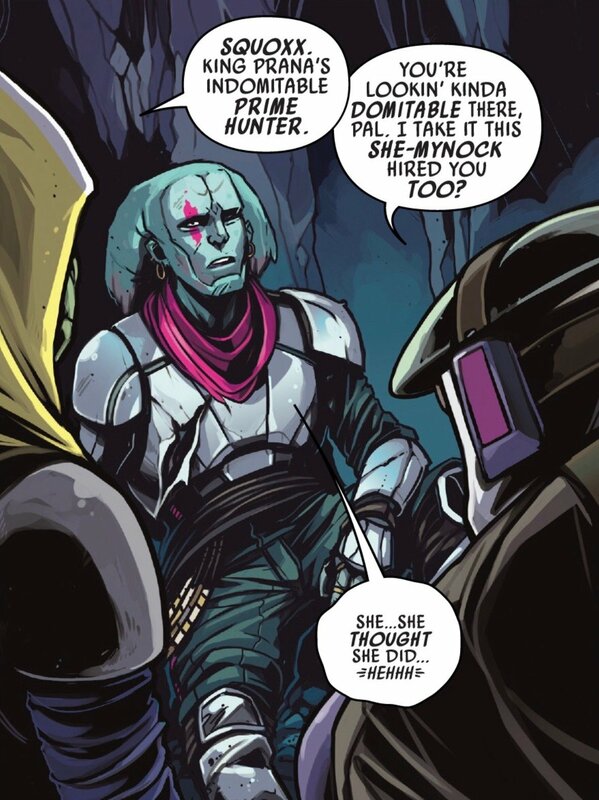 So, at first I though that Nokk was male and that the series is gay enough already. Then I though "how was I supposed to know that Nokk is female since all trandoshands look the same!". 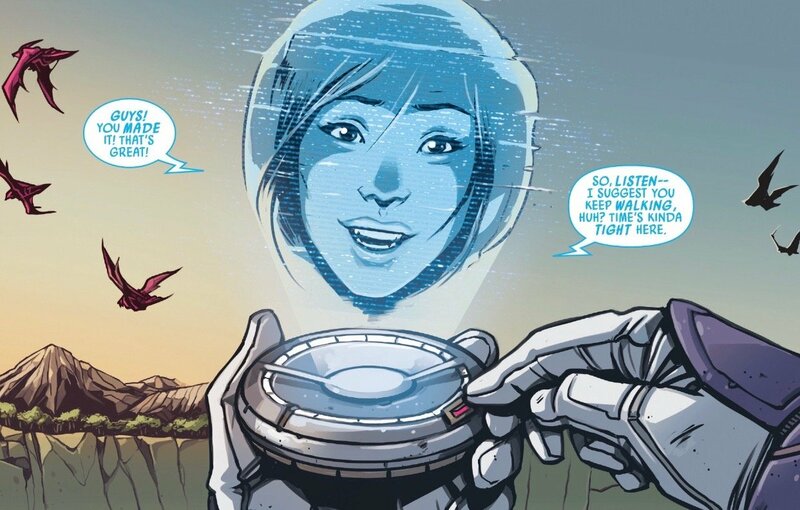 What stopped me from feeling like a racist homophobe is my "hidden desire" to see Aphra briefly hooking up with Hera Sendulla and that in this crazy comic it's actually possible! So, keep on rockin', my favourite comic, keep on rockin'.